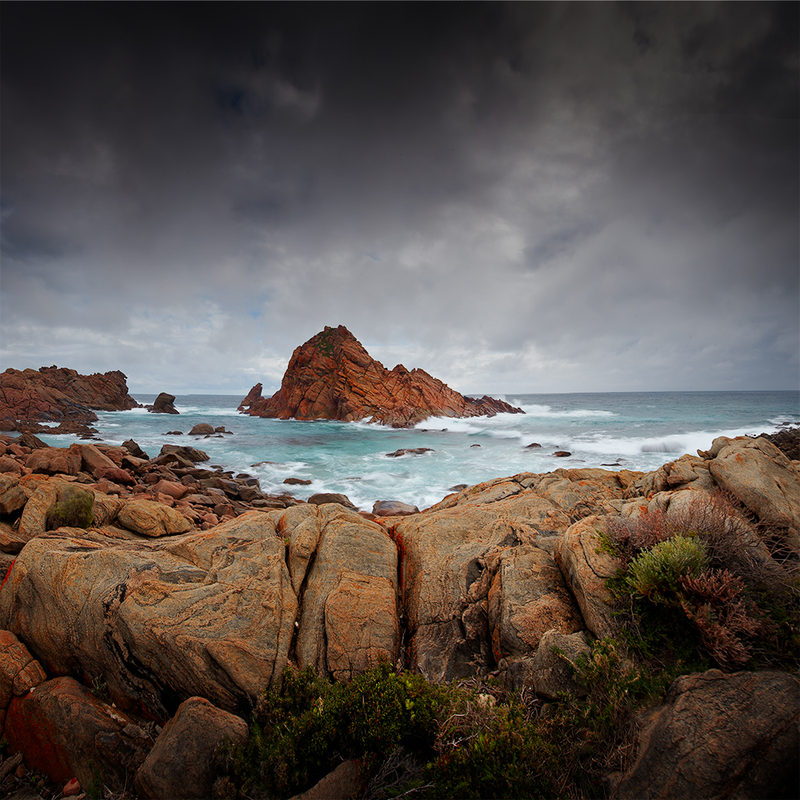 I know - more shots of Sugarloaf rock - just a great site. This rock is off Cape Naturaliste in South West Western Australia. This shot is a stitch of 7 frames shot portrait with lots of overlap. This series of shots was taken between rain showers - the clouds look great! Canon 5D mark II 0.8sec @ f/18 ISO100, EF16-35mm L II f/2.8 @ 18mm. Lee 0.9 SGND & Lee 1.2ND filters. Stitched with PTgui Pro and cropped square in Photoshop. I have series from this location and will put up when I finish processing them.